Discussion in 'General' started by Reddley, Nov 7, 2018. In Space Engineers 1.188 I can't publish any blueprints to the Steam Workshop. It seems to be an issue with the new Steam Integration. Try Options, Game and untick 'Enable steam cloud'. It’s been a bit spotty for me, too. I seem to remember that I couldn’t publish anything last Wednesday for awhile, but it eventually cleared up and I was again able. This is most likely posted else where, but in case anyone is still looking for an answer: In most cases it is the file size of the thump.png file that is causing the issue. This file has to be less than 1MB or the blueprint process will fail. This might not be the only reason for failure, but it should be one of the first you look at. You can reduce the file size using popular utilities like "Paint", Photoshop, or there are several online free utilities. 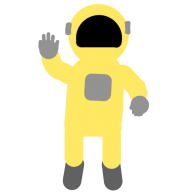 Your blueprints can be found here: C:\Users\<logon name>\AppData\Roaming\SpaceEngineers\Blueprints on a PC and in a similar location for Mac. I always publish with large pictures, but only after I Photoshop them into widescreen format and save as a JPG to reduce file size; PNGs are notorious for being very large.